You have a taste for the finer things in life, and our Accident Free 2013 Lexus ES 350 dressed here in Starfire Pearl delivers in spades. Powered by a 3.5 Liter V6 that produces 268hp while paired with a smooth shifting 6 Speed Automatic transmission. This fantastic Front Wheel Drive team offers you near 24mpg on the open road with a smooth, quiet ride that provides ideal acceleration for any environment. The classic aerodynamic exterior accented by xenon headlamps, dual bright-tip exhaust, and a large sunroof continues to turn heads. Luxury and smart functionality abound inside the cabin of our ES 350. Power-adjustable leather heated and ventilated front seats with driver memory, dual-zone automatic climate control, a wood and leather-wrapped steering wheel with mounted controls, push-button start, rich wood trim, and a power rear sunshade pamper you. You'll enjoy Bluetooth connectivity and a stellar sound system while cruising around in this elegant car, route supplied by Navigation. You'll be kept safe with a rear view camera, blind spot monitor, antilock brakes, stability and traction control, and numerous airbags. The available Lexus Safety Connect provides ultimate peace of mind with Automatic collision notification, stolen vehicle location, and an emergency assist button. Be seen around town in the kind of style and sophistication only a Lexus can provide. Print this page and call us Now... We Know You Will Enjoy Your Test Drive Towards Ownership! 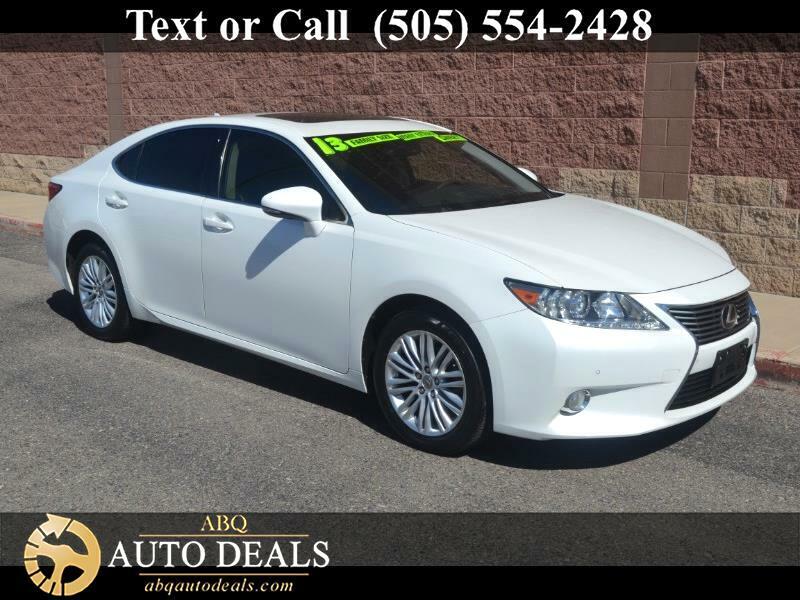 Your buying experience with ABQ Auto Deals is our number one priority.